Suwanee, GA/October 27, 2015 – Nutritional Addiction Mitigation Eating & Drinking (NAMED), a nutritional program that works with addiction withdrawal has been recommended by Charles Davis, CEO of Behavioral Health Network Resources. 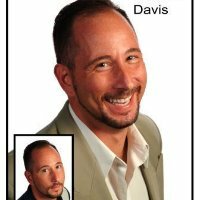 Davis has extensive experience marketing treatment centers, private clinicians, and addiction related organizations providing the largest marketing arm in the Addiction/BH field. Since entering the addictions field, he has built an impressive marketing arm with an email database list of over 60,000 national addiction/BH professionals, and the largest audience on LinkedIn with over 10,800 level one contacts, over 10,900 followers, and owns 8 groups with over 25,000 members. Studies show that nutrition and its effects on the body are often overlooked, underestimating the powerful effect that being properly nourished has on the overall metabolism, organ function and mental health. This is especially true for those overcoming addiction. Under the NAMED program, precise nutritional plans and menus are developed that will keep the body functioning at its optimal level reducing symptoms and complications of addiction recovery. The program was developed by Dr. Keith Kantor, a bestselling author and internationally renowned PhD in nutritional science known as the leading expert on using natural foods to mitigate disease in the United States. The program is aimed for recovering individuals who are undergoing substance abuse recovery in a facility and works in tangent with those programs. Additional information on Charles Davis may be obtained at www.behavioralhealthnetworkresources.com.